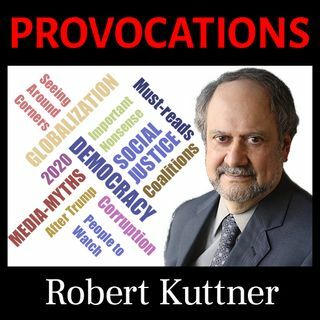 Provocations -- a podcast hosted by veteran progressive journalist, editor, columnist, and author Robert Kuttner. In this half-hour weekly podcast, Bob comments on topics ranging from the Trump Administration, the economy, the state of American democracy, and the Democratic party. Bob also discusses uses of language, especially political language. The podcast always includes at least one conversation or interview segment and lives up to its name.